CRIS Recruitment 2019: Centre for Railway Information Systems / cris.org.in is conducting recruitment processes to fill 23 vacancies. As of now, there are thirteen recruitment drives going on for Chief Manager / Manager (HRMS) Posts, Project Officer Post and others. CRIS Recruitment 2019 - Job notification for Chief Manager (FPS) Posts in CRIS, New Delhi on Deputation Basis. Applications are invited by Centre for Railway Information Systems within 21 days from the date of issue for 2 vacancies. CRIS Recruitment 2019 - Job notification for Assistant Manager Posts in CRIS, New Delhi on Deputation Basis. Applications are invited by Centre for Railway Information Systems within 30 days from date of issue. for 4 vacancies. CRIS Recruitment 2019 - Job notification for General Manager Post (Operations) in CRIS, New Delhi on Deputation Basis. Applications are invited by Centre for Railway Information Systems within 21 days from date of issue for 1 vacancy. CRIS Recruitment 2019 - Job notification for Project Assistant/ PRS Post in CRIS, New Delhi. Applications are invited by Centre for Railway Information Systems on or before 01 May 2019 for 1 vacancy. CRIS Recruitment 2019 - Job notification for Assistant Manager (PRS) Posts in CRIS, New Delhi on Deputation Basis. Applications are invited by Centre for Railway Information Systems on or before 01 May 2019 for 2 vacancies. 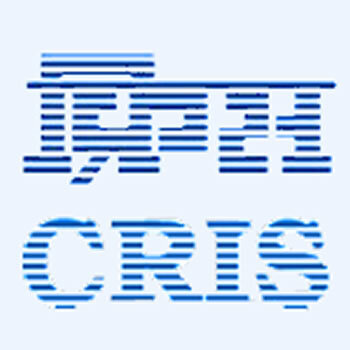 CRIS Recruitment 2019 - Job notification for Project Assistant Post on a project entitled "Hand-Held Terminals Project in PMS Group" in CRIS, New Delhi. Applications are invited by Centre for Railway Information Systems on or before 19 Apr 2019 for 1 vacancy. CRIS Recruitment 2019 - Job notification for Project Assistant Post on a project entitled "CMM. (Coach Maintenance Management) " in CRIS, Chennai, Tamil Nadu. Applications are invited by Centre for Railway Information Systems on or before 16 Mar 2019 for 1 vacancy. CRIS Recruitment 2019 - Job notification for Assistant Manager (PMS) Post in CRIS, Delhi on Deputation Basis. Applications are invited by Centre for Railway Information Systems on or before 30 days for 1 vacancy. CRIS Recruitment 2019 - Job notification for Project Assistant Post on a project entitled FOIS in CRIS, New Delhi. Applications are invited by Centre for Railway Information Systems on or before 03 Feb 2019 for 1 vacancy. CRIS Recruitment 2018 - Job notification for Project Assistant Post in CRIS, Delhi. Applications are invited by Centre for Railway Information Systems on or before 12 Dec 2018 for 1 vacancy. CRIS Recruitment 2018 - Job notification for General Manager (HRD) Post in CRIS, Across India on Deputation Basis. Applications are invited by Centre for Railway Information Systems within 21 days from the date of issue for 1 vacancy. CRIS Recruitment 2017 - Latest job notification for Executive & Sr. Executive Vacancy. Applications are invited by Centre for Railway Information Systems on or before 15 Oct 2017 for 5 vacancies. CRIS Recruitment 2017 - One vacancy of Sr.Executive in Purchase Cell at CRIS New Delhi on deputation basis.